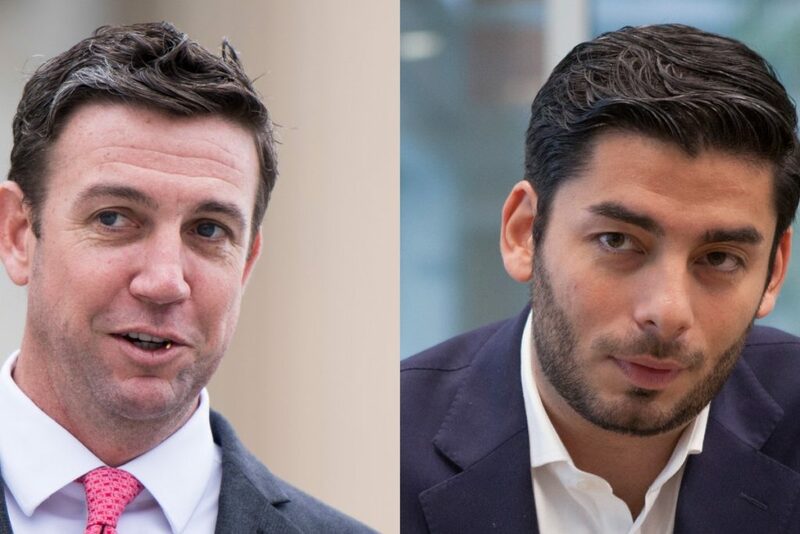 Democratic Congressional candidate Ammar Campa-Najjar was working on a TV advertisement to boost his exposure when news broke that his opponent, the heavily favored Republican U.S. Rep. Duncan Hunter, was indicted on corruption charges. The 29-year-old former Obama administration Labor Department official whose father is a Palestinian Muslim and mother a Mexican American Catholic has never held elected office. In Hunter, he’s taking on a widely known Iraq war veteran who coasted through the June primary in the most Republican district in Southern California with a 30-point, first-place finish after serving five terms. With the indictment , Campa-Najjar suddenly found himself thrust in the spotlight — fielding calls throughout the night from the Democratic Congressional Campaign Committee, supporters and even some local Republican elected officials. Within 24 hours, he received hundreds of emails and gave nearly two dozen interviews to local and national media outlets. The Hunter name is something of a political dynasty in the area. Hunter’s father was elected to the seat in 1980 and held it until his son won it in 2008. But the indictment of Hunter and his wife, Margaret, that alleges they illegally converted his campaign account into a household checkbook reorders his re-election contest, giving Democrats a suddenly stronger hand in a district that for decades has embraced Republican candidates. The Hunters pleaded not guilty Thursday. Campa-Najjar said he was hopeful of breaking the Hunter family’s nearly 40-year hold on the district that runs largely east of coastal San Diego, abutting Camp Pendleton Marine Corps base and stretching toward a remote area near the U.S.-Mexico border. He does not believe in abolishing the Immigration and Customs Enforcement agency, like some liberal candidates. Campa-Najjar, who lives in Jamul near the U.S.-Mexico border, said walls are not the answer when 40 percent of those entering the U.S. illegally come by plane and overstay their visas. He supports tougher fines for employers who break immigration laws and believes that immigrants who were brought to the United States as children should be given U.S. citizenship. His mother, who divorced his father when he was 8 and raised Campa-Najjar and his brother, did not have the support she should have from the government. Born in San Diego County, Campa-Najjar spent part of his childhood in Gaza before coming back to San Diego County, and is fluent in Spanish and Arabic. Campa-Najjar said he is proud of his heritage, but is American first. 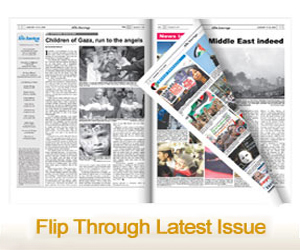 He has made clear that he has no personal connection to his grandfather, who was the member of a Palestinian terror group and orchestrated an attack in the early 1970s that killed 11 Israeli athletes at the 1972 Olympic Games in Munich. About a third of the district is Latino and it is also home to one of the largest Iraqi Chaldean populations in the United States. One of Campa-Najjar campaign offices is in the city of El Cajon, east of San Diego. It’s near a business district with falafel shops, taco stands and signs in Arabic, English and Spanish, reflecting the district’s changing demographics as immigrants and refugees have settled there. It is in a dilapidated home with yellow tape around the front porch. On a recent day, a paper sign on the door, under Campa-Najjar’s portrait on a red white and blue poster, told visitors to knock on the back door. 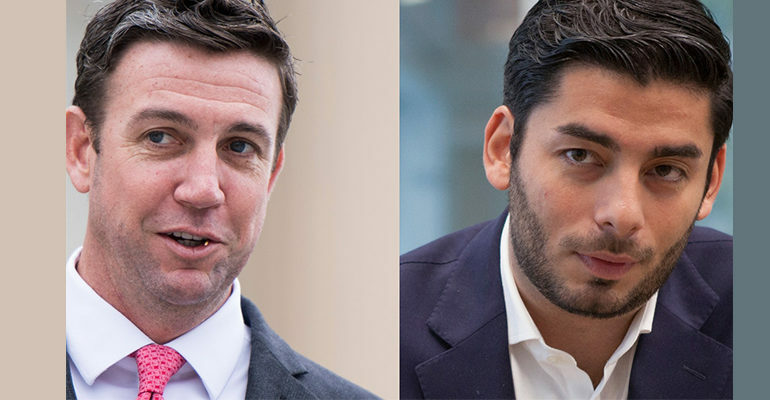 Campa-Najjar’s campaign has been a largely grassroots operation that until now has largely gone unnoticed as Democrats have concentrated on other districts believed to be more vulnerable for Republicans. The Republican Party holds a nearly 15-point registration edge over Democrats, and President Trump won the district by the same margin while losing statewide by more than 4 million votes in 2016. “I’m getting a lot of support as you can imagine,” Campa-Najjar said. Voters in Hunter’s rural hometown of Alpine were sharply divided on what it all means. Some are shocked, some outraged and some are rising to defend Hunter and his claim of being pursued by politically motivated prosecutors eager to see one of Trump’s early supporters in Congress fall. Hunter says his “constituents are not easily misled” and he will fight the allegations the same way he fought as a Marine.